Oh my goodness. I am still so very full from yesterday. It was all so delicious I couldn’t help myself. Please tell me I’m not alone! The good news is, there’s always room for dessert, right? I’m so excited to be part of the 2014 Christmas Cookie Party with a bunch of my blogging buddies this year! 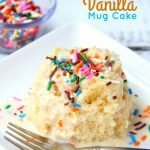 I’ve pulled out all the stops and am sharing a recipe for SMOOKIES today! If you haven’t already figured it out, these cookies are based off of the iconic s’more treat we have all grown to LOVE over the years. The name is so much fun, and the cookies. . .oh the cookies. . . Imagine. 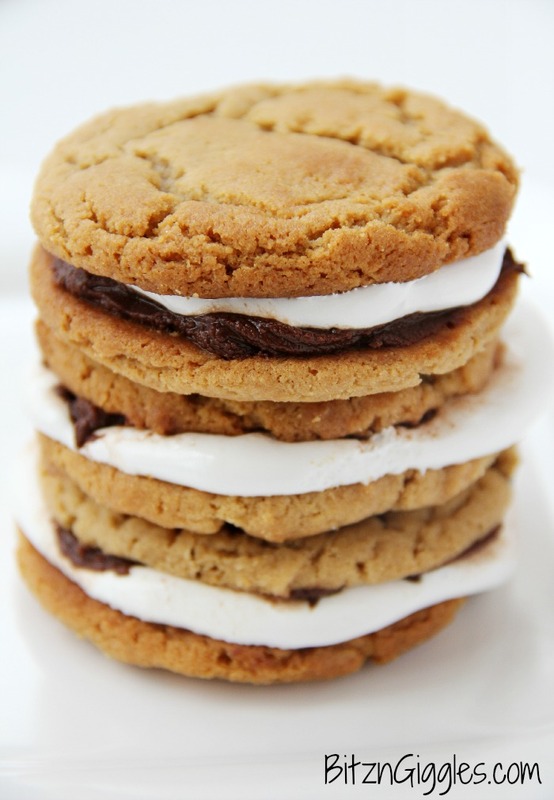 . . marshmallow and chocolate sandwiched between the greatest peanut butter cookies EVER! Oh so good! 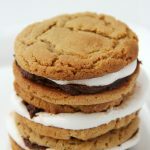 I do have to mention that the peanut butter cookie used in this recipe is melt-in-your-mouth delicious, even without the marshmallow and chocolate. But put the three together and this cookie goes from AMAZING to OUT-OF-THIS-WORLD! The combo just can’t be beat. It’s tried and true, right? And who says that s’mores are just for the summer? No way. Not in our house. You know what else we do with these cookies in our house? We warm them just a little bit in the microwave before we eat them. O.M.G. They seriously cannot be beat. After I made these cookies, my hubby couldn’t stop talking about them. He even texted me at work one morning just to let me know he ate yet another one and they were still the best ever. And trust me. . .he’s not scared to let me know when I make something he doesn’t like. Ask him about the “dog food” cookies I made once. 😉 Gotta’ love him. . .and I do. 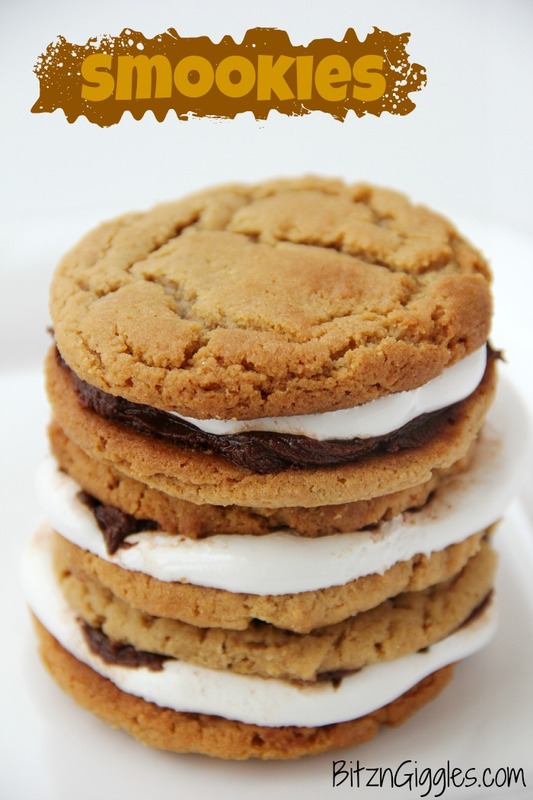 Marshmallow and chocolate sandwiched between the greatest peanut butter cookies EVER! Oh so good! Preheat oven to 375 degrees Fahrenheit. Lightly spray a cooking sheet with non-stick cooking spray. Mix the flour and baking soda in a small bowl and set aside. Mix peanut butter, butter, and brown sugar in a medium bowl with a spoon until smooth. Add the egg and the vanilla; beat until smooth. Roll the dough into 1-inch balls and place on cookie sheet. 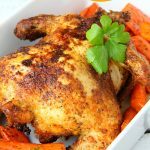 Remove from oven and allow to cool for 10 minutes – then place in refrigerator and allow to cool fully for another 20 minutes. In a microwave-safe bowl heat chocolate chips and butter for about 1 minutes; just until melted. Allow the mixture to sit for about 30 minutes or until slightly stiff. Heat the marshmallow cream in a microwave for 10 seconds to soften. 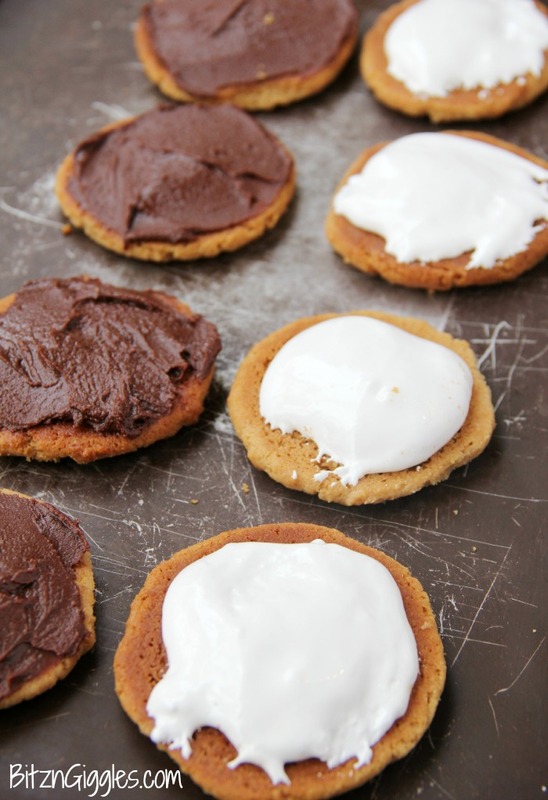 Spread marshmallow on a cookie, chocolate on another and sandwich together. Store cookies in a covered container in the fridge. 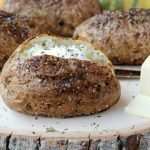 These are even more wonderful warmed in the microwave slightly before eating! Don’t forget to hop around and check out all of the other wonderful cookie recipes linked up by my blogging friends. 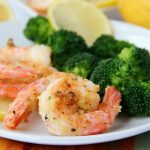 There are SO many wonderful recipes to enjoy. I betcha’ can’t pick just one or even two. Start preheating that oven and greasing those cookies sheets. We have lots of baking to do!! These cookies look sooo good!! I’m going to a holiday party next weekend so I may have to make these! Pinning for sure! Hi Julie! The party guests will love them, I promise! These look like the perfect cookie!! Great idea!! My kids would love these! Thank you for linking up to Party Time and we hope to see you again next week! So my 2 yo caught a glimpse of your photos and was instantly pointing and screaming “num! num!” I say, ditto! 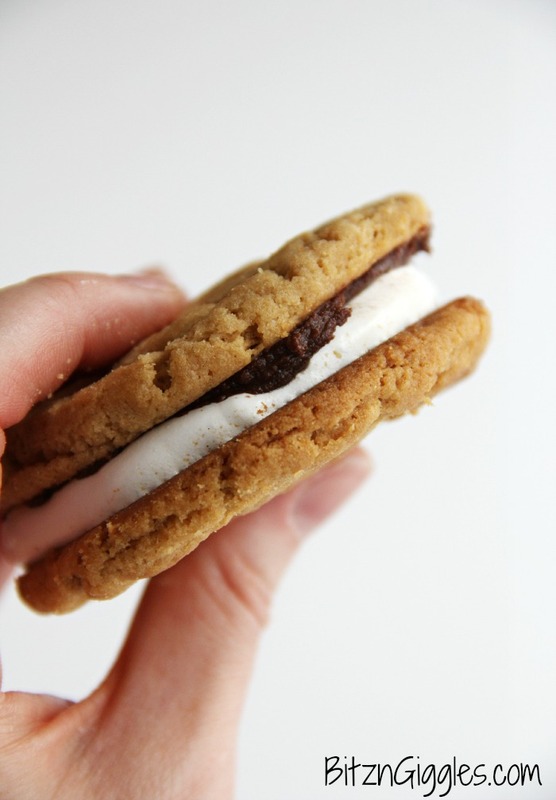 Love the twist on the classic s’mores. These just look divine!